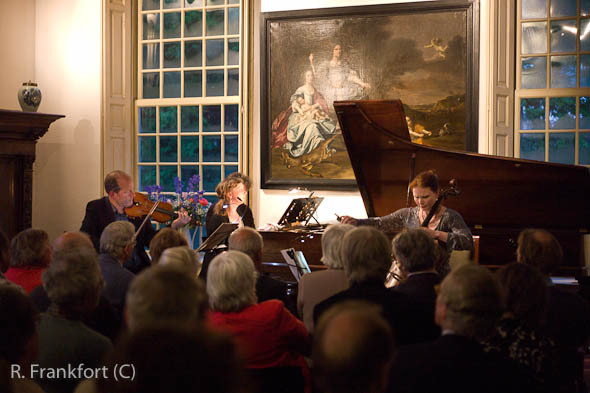 Last night I attended a beautiful concert of the Osiris Trio at Huis te Linschoten. The Osiris Trio consists of Ellen Corver on piano, Larissa Groeneveld on the violoncello and Peter Brunt playing the violin and they played Beethoven, some opera aria’s arranged by Bob Zimmerman and the Dvorak’s “Dumky” trio. Fantastic! This entry was posted on Sunday, May 16th, 2010 at 1:46 pm. It is filed under All posts, Concerts and tagged with concert, Huis te Linschoten, Osiris Trio. You can follow any responses to this entry through the RSS 2.0 feed.